Finding strength in our moves. 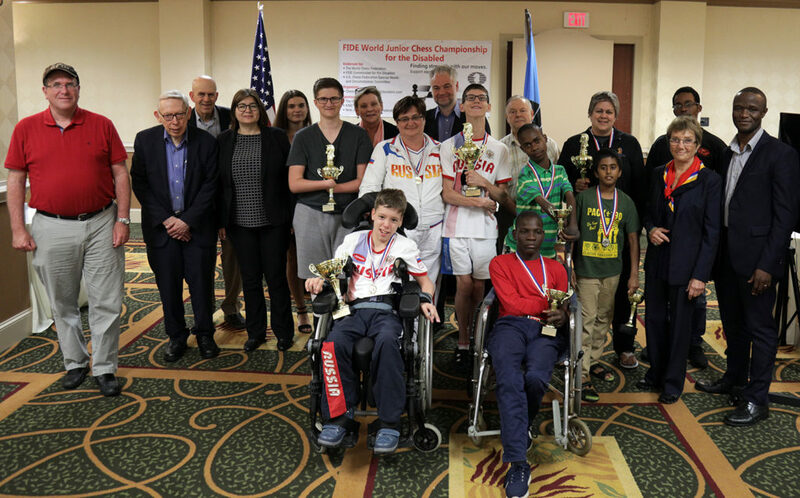 New York, New York – We are pleased to announce that the 3rd FIDE World Junior Chess Championship for the Disabled will be held in the Cherry Hill, New Jersey, USA from July 9-15, 2019. 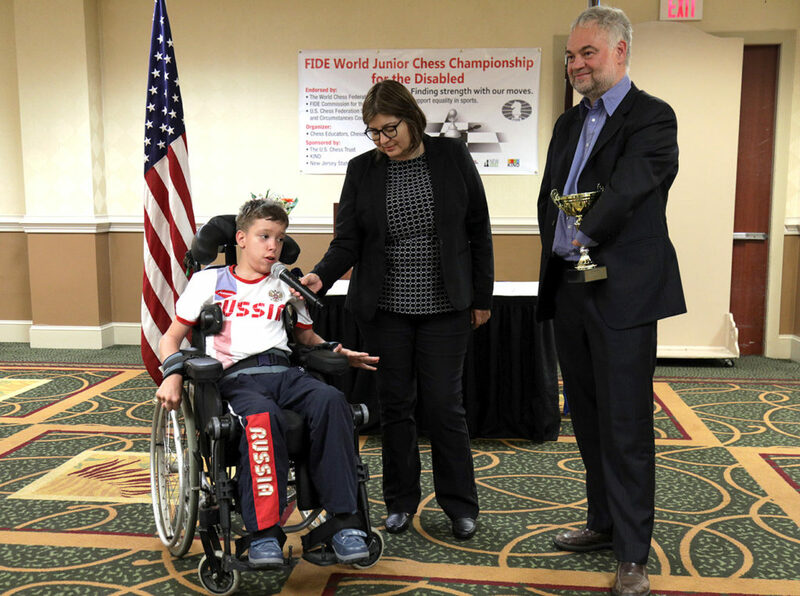 In the previous two World Junior Chess Championships, young players with disabilities demonstrated a strong will to improve and master the game of chess through their participation in this high level competition. The 2019 event regulations and online registration can be found on the official website: www.WorldJuniorChess.org. Registration for the event includes participation in the ‘Chess Masters Training Program’ which is provided at no extra cost to the participants. We are looking forward to welcoming you in Cherry Hill! For more complete details, please visit the official website at www.WorldJuniorChess.org. 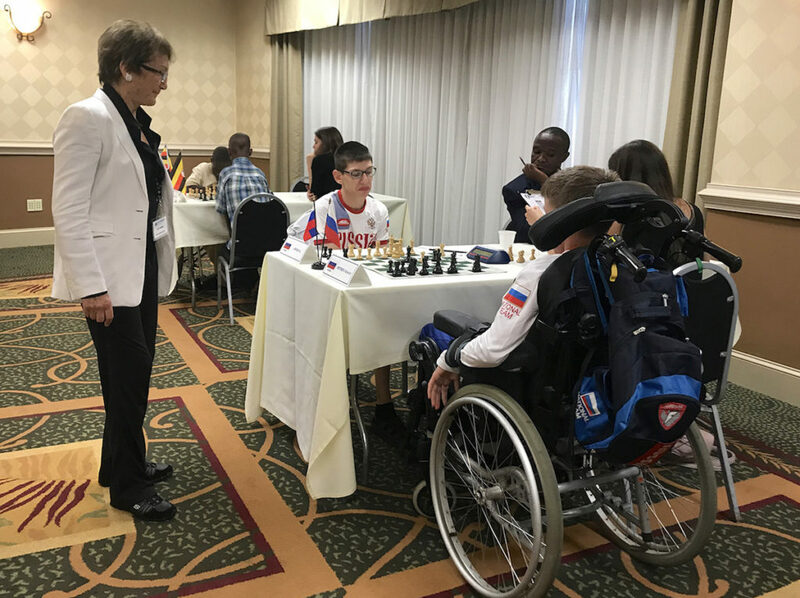 On August 7th, the Opening Ceremony and the Drawing of Lots kicked off the 2nd FIDE World Junior Chess Championship for the Disabled in Cherry Hill, New Jersey with commentary and greetings from IO Beatriz Marinello, Chief Arbiter Carol Jarecki and FIDE Commission for the Disabled (DIS) Chairman GM Thomas Luther. 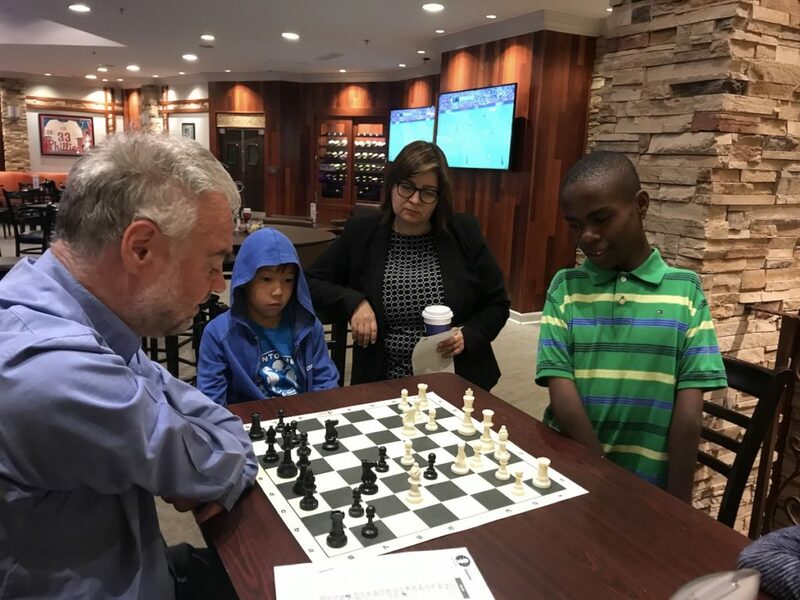 The US Chess Trust’s Dr. Leroy Dubeck made a surprise appearance, easily impressing and charming our young players and parents. 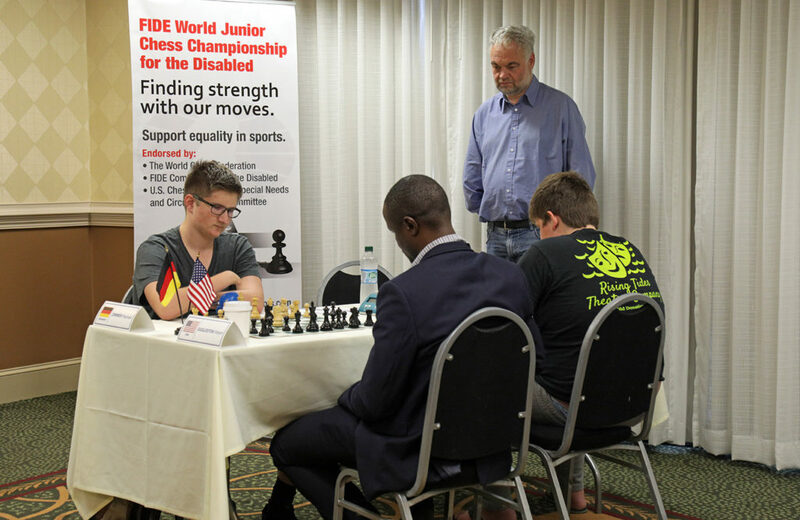 Dr. Leroy Dubeck was the President of the US Chess Federation when Bobby Fischer was the World Champion and is the Treasurer of the US Chess Trust, the main sponsor of this prestigious and very special event. The organizing committee is especially thankful for their contribution and support. 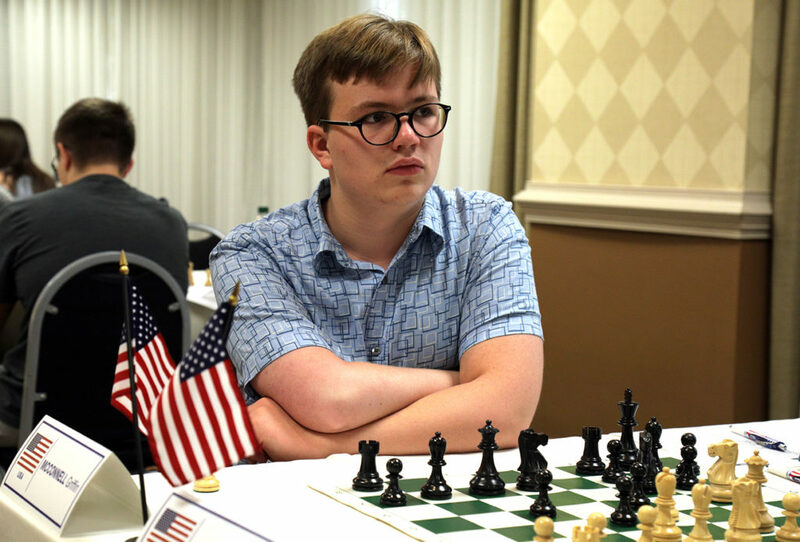 Players from the USA, Germany, Russia and Uganda arrived in Cherry Hill, New Jersey for the opportunity to compete in this World Junior Event. 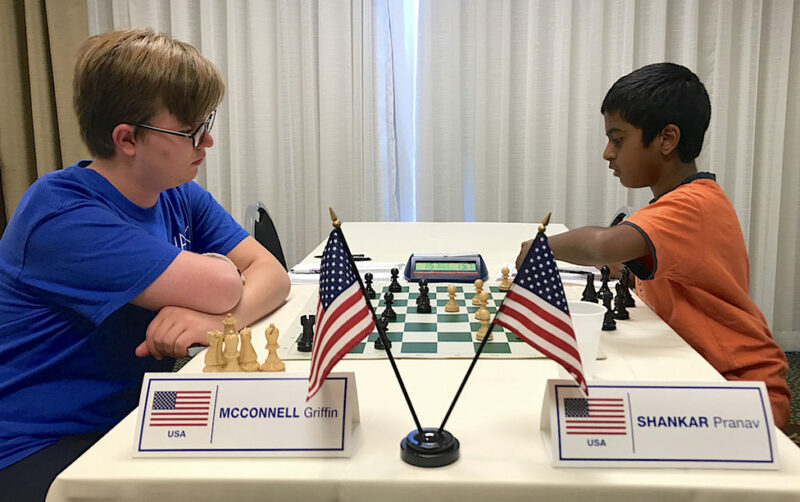 We have two new USA Players this year, Pranav Shankar and Robert Eggleston who traveled from out of state to participate in the event. 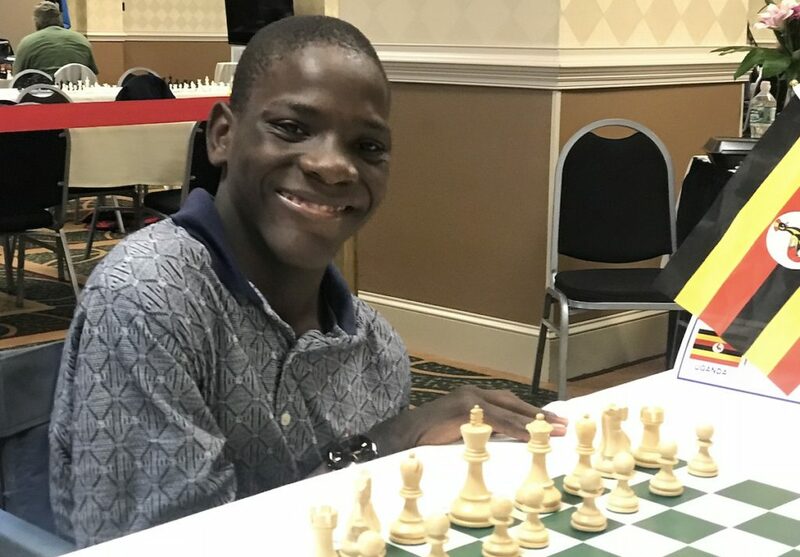 Another new face in the tournament is John Denis Mwesigye who joins Wasswa Sharif Mbaziira of Uganda as his teammate with accompanying coach Robert Katende of the Disney movie, “The Queen of Katwe”. 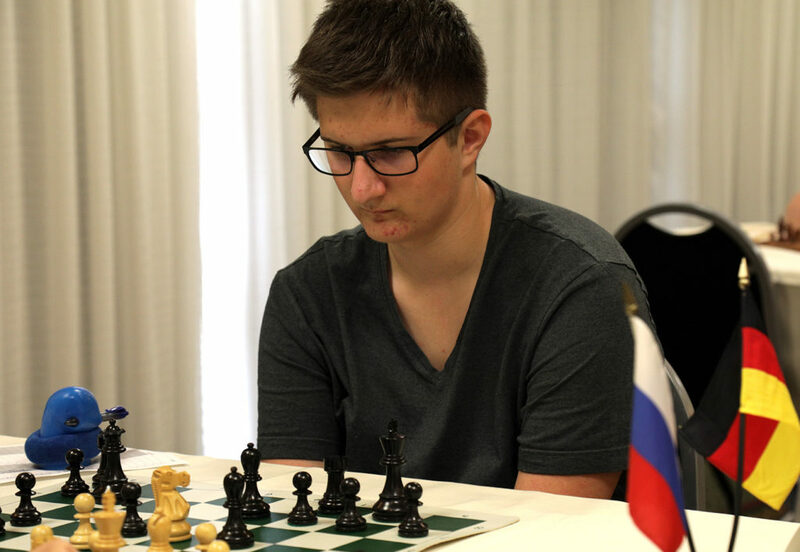 The Head of Delegation for the Russian Team, Mr. Zbigniew Antoni Pilimon and their official coach Svetlana Gerasimova, accompany players Ilia Lipilin and Maksim Petrov and their mothers. 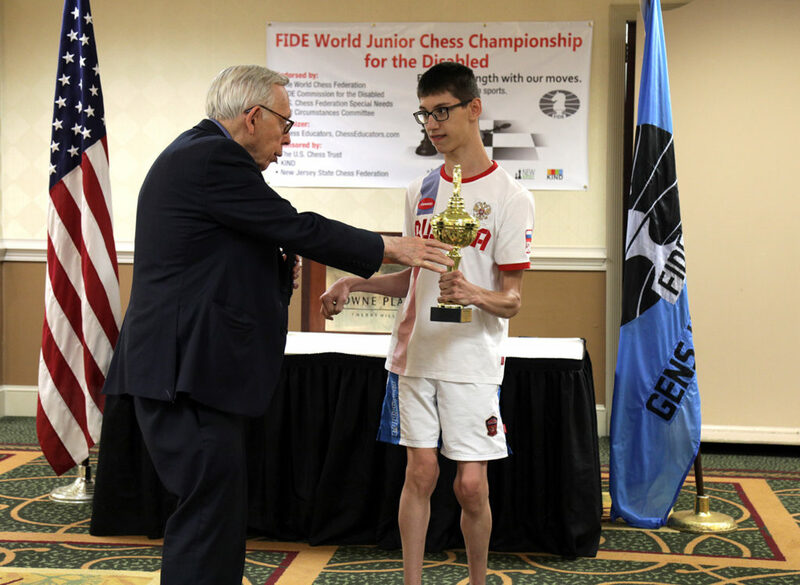 It was heartwarming reunion for returning World Champion, FM Raphael Zimmer (Germany) and Griffin McConnell (USA) who bonded quickly at last years event. 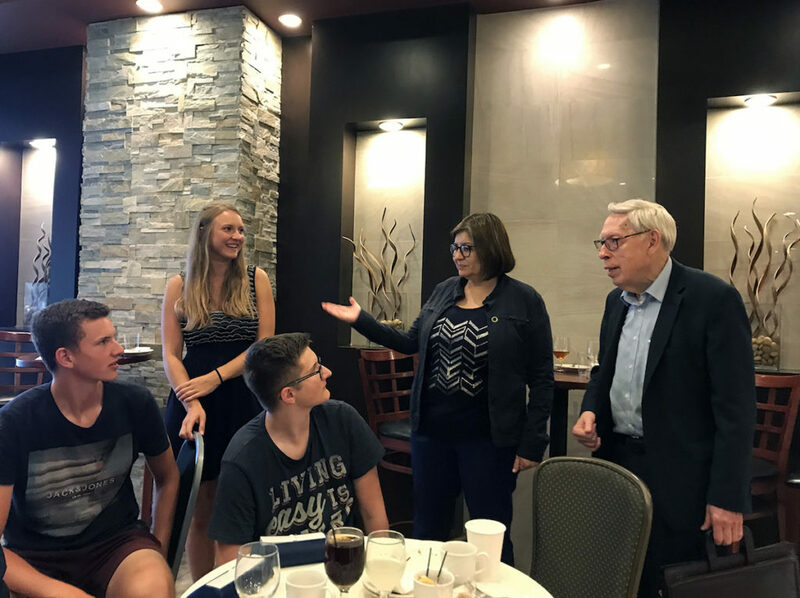 This event is not just an opportunity for players to participate in a World Junior event, but, an opportunity to make friends with other players who may face similar challenges in tournament play. This year we have three qualifying teams. 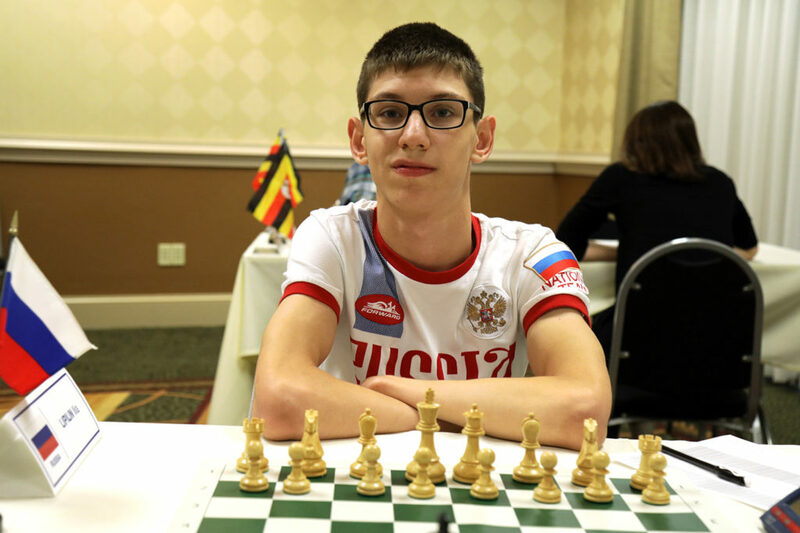 Team USA, Team Russia and Team Uganda – each country must have a minimum of two players to qualify as a team, with the highest two scores per team counting towards team points. The Players Technical Meeting followed the Opening Ceremony, which was open for discussion with coaches and players from all of the participating countries. 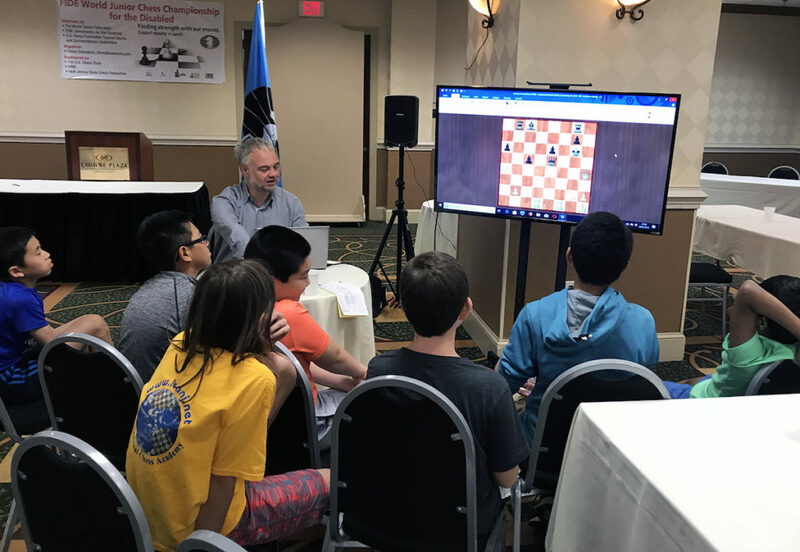 On August 8th, the players participated in a simul with GM Sandro Pozo, which also featured game analysis with GM Thomas Luther and GM Aryam Abreu. 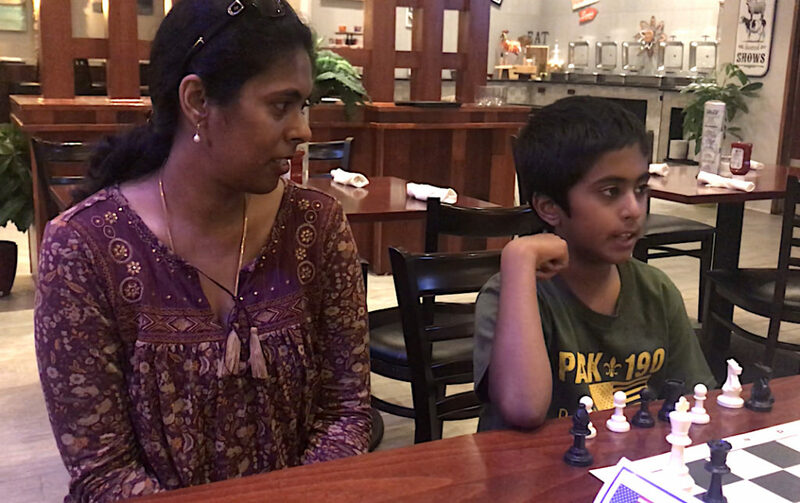 The players also participated in the Chess Masters Training Program – rounding off their participation in the event with an educational component that is an important factor in a chess players training. Round 1 took place on August 8th at 4pm.